About Quality 1st Basements of NJ | Staten Island, Edison, Jersey City, NJ | All Things Basementy! Why Choose Quality 1st Basements? We deliver quality work and wow service at every job! Quality 1st Basements of Cliffwood, NJ is dedicated to creating healthier home environments. We have been in business since 1986. It is our mission to educate you on the following services and we are happy to answer any questions for you. "This project was bigger than I expected. Even though it was..."
"I want to vote for Victor Leon in your competition. As the..."
Basement waterproofing, crawl space repair, foundation repair, concrete leveling, and sump pump installation are our specialties. We have a team that is trained and experienced to help with any of these problems. Quality 1st Basements is a part of the Basement Systems Network which allows us access to the top products and training in the industry. We install superior sump pump systems including the SuperSump®, TripleSafe, and UltraSump® battery backup, as well as energy efficient dehumidifiers to keep the basement dry and clean. For crawl space encapsulation and repair services we have it all. No matter what size your crawl space is, or what the problem is- we have a permanent solution for you! Quality 1st Basements was awarded the Best of Perth Amboy. They took the prize in the "Basement Waterproofing & Foundation Contractor" category. 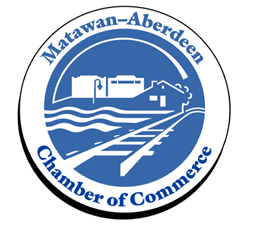 This award honors and generates public recognition of the achievements and positive contributions of businesses in and around Perth Amboy, and Quality 1st Basements is proud to be a part of this community. 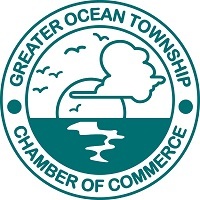 They have also received the Recognition Award from the Township of Aberdeen. This award was given out by the mayor and township of Aberdeen, NJ for Quality 1st Basements' help and dedication to the residents in Aberdeen during Hurricane Sandy in 2012. This shows our true dedication to homeowners and business owners alike, and our willingness to serve at all times. We also won the Greater Monmouth Chamber of Commerce Circle of Excellence Award for our philosophy of giving back to our community which Quality 1st Basements makes a priority each year. In addition to serving homeowners with permanent waterproofing and crawl space solutions, Quality 1st Basements also takes pride in serving the community. Our customers and their satisfaction is what's most important to us - so we take any opportunity to build relationships and serve the community. We are involved with the Sewaren FireHouse as well as sponsoring the Woodbridge Little League team. In 2017, we began the A Hero Lives Here program which provides a flagpole and American flag to New Jersey veterans and active service members. As a certified part of the basement systems basement waterproofing contractor network, we have access to a variety of the best products and waterproofing techniques on the market. Quality 1st Basements is also affiliated with the Total Basement Finishing network, Supportworks, Accurate Inspections, Inc., NJ ALPI, CleanSpace®, and the NJ National Association of Certified Home Inspectors. 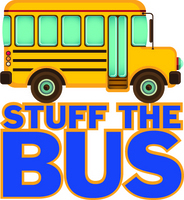 Help Quality 1st Basement Systems and United Way STUFF THE BUS! Our other divisions include Quality Concrete, Quality 1st New York City, and Supportworks of New Jersey. Each of these offers free inspections and takes great pride in their work. No matter which company you work with, our well-trained staff will help you find a proper solution to your basement or crawl space problems while providing first class customer service. Fun fact: Our owner opened All Jersey Mudjacking before these divisions, so we have many years of experience fixing NJ sinking concrete. Since 1986, we have been committed to providing 100% customer satisfaction. Quality 1st takes pride in our exceptional customer service, and we hold our work to only the highest standards.